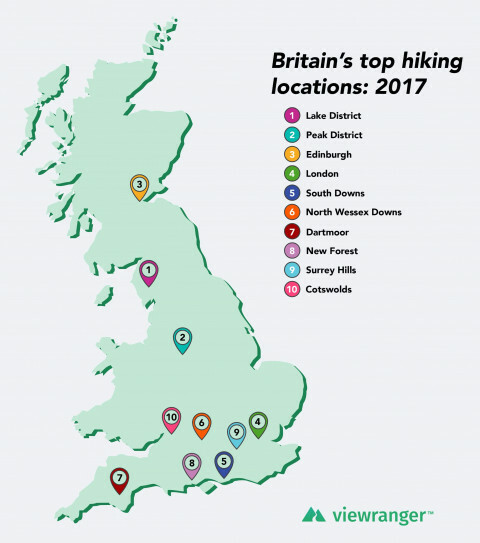 The most popular areas for walking and hiking in Britain have been revealed for 2017 – and major cities are competing with National Parks as the most active areas. The Lake District National Park has predictably emerged as Britain’s busiest spot for exploring on foot, with the hills and mountains around the popular towns of Ambleside and Keswick receiving the most visitors, but perhaps more surprisingly London and Edinburgh both make an appearance in the top 5. 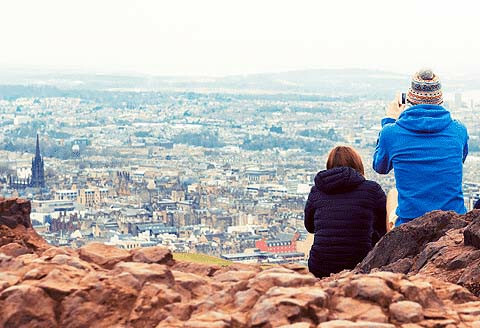 The stats are taken from millions of UK walks and hikes recorded in the ViewRanger smartphone app during 2017, with results showing many people exploring the areas around their homes or places of work rather than travelling to more traditional outdoor locations. Regular hiking hotspots such as the Peak District, South Downs and Cotswolds all feature in the top 10, but the results from users of the ViewRanger app – which allows people to plan, navigate, record and share their outdoor adventures – show the most active areas to be either in or close to major cities. With the exception of the Lake District, New Forest, Cotswolds and Dartmoor, every other location in the top 10 is within 50 miles of either Manchester, London or Edinburgh – proving you don’t need to travel into remote countryside to find outdoor adventure. The results from Britain mirror similar trends in countries around the world including the USA, France and Germany; with major cities such as Los Angeles, New York, Paris and Dortmund emerging as popular hubs for walking and hiking in their respective countries. ViewRanger runs on iPhone, iPad, Apple Watch, Android and Android Wear devices. Download the free ViewRanger app from the Apple App Store or Google Play.